Pizza on a whole-wheat crust and fresh grapes. Or maybe mini-quiche and an organic salad. No, not here, though we did have the pizza (with covert spinach in the sauce) last night and Big Guy’s toting the leftovers today. That’s a menu from a typical day at a Kansas City private school, where lunches have gone local and organic. OK, so it’s not such a stretch to get kids to eat pizza, even organic. It was no problem with the guys at all, because spinach-spiked crunchy crust is the only pizza they’ve known. But the rest — buffalo burgers and spinach quiche — is a bit of a learning curve. Not an impossible one, though, if you keep at it. Problem is, we’re years into the obesity epidemic and the drive to improve school lunches and too few districts are keeping at it. I know, I know. They try. Except a year after I last teed off on lunch menus in Big Guy’s school district, the lineup hasn’t changed much on the surface. I’m sure it has under the hood — the state of California says it has to. 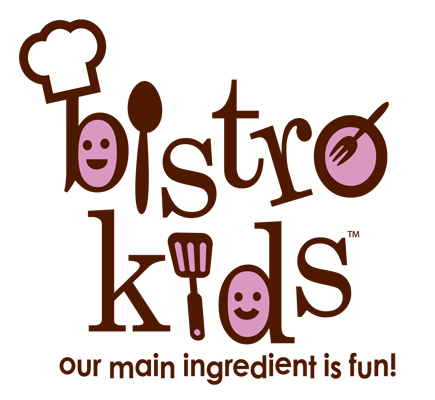 But the surface view remains one of what Bistro Kids, the company driving the KC menus, derisively and accurately calls “carnival food”. Macho nachos — does the fact that they’re macho mean girls can’t eat them? Wiener roll with cheddar crackers — let’s hear it for a carb daily double. Some version of chicken nuggets or tenders — four times. Yes, I get that they’re trying. And I see the mini bags of baby carrots landing in the garbage each day. They can’t compete with the Fritos. So the obvious move seems to be to stop offering the Fritos. Yes, kids will eat them. But they’ll learn to eat the carrots, too, if their drug of choice no longer is available. Trust me: They won’t starve in the meantime. Big Guy’s living proof. He carried his lunch back home every day for a month before finally figuring out that healthful was what he was going to have, so he might as well eat it. And his principal knows kids will get it. “Let them eat lunch at school. They’ll learn to like it. School is where I learned to eat American food,” the immigrant from Portugal said during kindergarten orientation. I understand that it’s hard for districts to teach the type of lessons the Kansas City private schools are. The average school lunch costs $2.88 to serve but the federal government reimburses only $2.57 for a “free” meal, according to AP. Yes, organic is pricey and committing to buying local makes it more difficult to predict the food service budget. But brand-name junk food is expensive, too. Yes, I know most districts have gone to centralized purchasing and even centralized food preparation to cut costs. Things have changed since the days when my grade-school cafeteria wizard Louise taught my mom how to make homemade vegetable soup. And shepherd’s pie. We never would have begged for either dish had we not been introduced at school. They’re making the introductions in Kansas City. We can make them locally, too. It just takes courage to stand behind the decision when the new lunch-mates don’t hit it off at first.